This photo was taken of N290 in late December 2012 which makes him 4.5 years old. As you can see by the way he still stands that his conformation is outstanding. He has plenty of bone with good body length and width with that unmistakable N4636 back end. N290 has a magnificent sire’s head with a heavy, strong horn and has always had a soft, wide muzzle. N290’s progeny results at Nerstane have been outstanding. 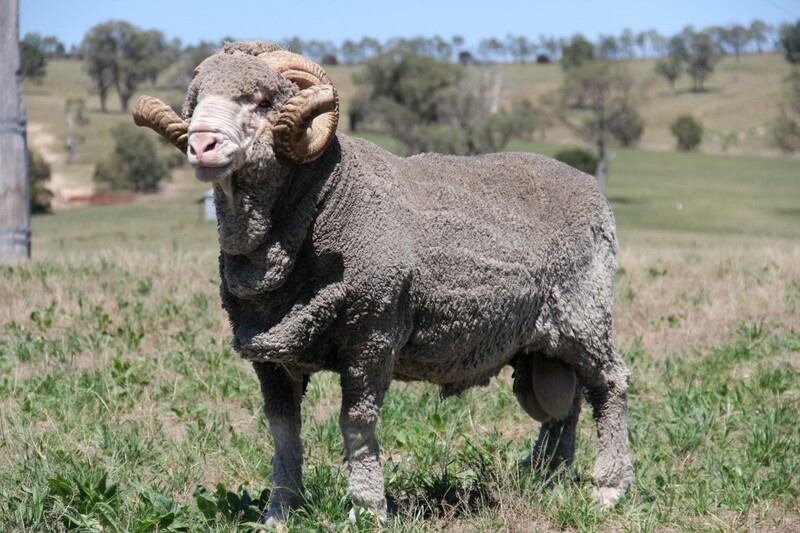 He sired 12 sons in our on-property sale in 2012 and they averaged $2600 showing the consistency of type that he is throwing. On the Sheep Genetics site he is in the top 10% on 4 out of the 5 indexes being very good for CFW (top 10%) and bodyweight. N290’s best advertisement is the recently released results from the latest Tasmanian Sire Evaluation site where he has again performed outstandingly showing why he is one of our most dependable sires. Have a look at his tops to culls ratio.